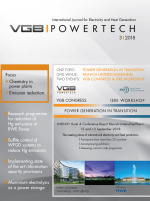 The VGB Innovation Award of the VGB Research Foundation is endowed with 10,000 € and is presented on the occasion of the VGB Congress POWER PLANTS - “Power Generation in Transition” 2018. VGB-S-130-00-2017-07-EN - Acceptance Test Measurements and Operational Monitoring of Water-cooled Surface Condensers – Now available as eBook! VGB-S-131-00-2017-07-EN - Acceptance Test Measurements and Operational Monitoring of Air-cooled Condensers under Vacuum – Now available as eBook! 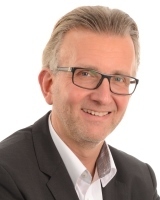 With effect from 1 April 2018, Dr Oliver Then takes over the management of VGB Power-Tech as successor to Erland Christensen. 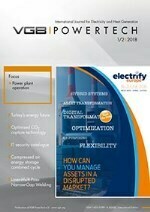 The Board of Directors of VGB PowerTech e.V. has appointed Dr Oliver Then new Executive Managing Director of the international technical association VGB PowerTech e.V. and its commercial arm VGB PowerTech Service GmbH. VGB PowerTech invites all ordinary members to propose a supplier, who has delivered a project of outstanding quality, for the VGB Quality Award 2018. The VGB Quality Award has been established to increase the awareness for the commercial value of quality and to highlight examples of suppliers who have delivered extraordinary quality in services and products. The VGB Quality Award is covering all electricity and heat generation technologies: hydro, wind energy, biomass, biogas, nuclear, oil-, gas- and coal-fired power stations, as well as storage technologies, and all kind of projects: new build, refurbishment, maintenance, or decommissioning. The Association Agreements for Steam Boilers 009 "Requirements for oval-shaped hand, head and manhole closures of steam boiler plants" and 011 "Repair work to be done on steam boilers - Qualification of welding personnel and welding procedures applied" were translated into English. More than twenty years ago the first edition of this standard was published in response to the rapid technological development and the growing importance of condensers in plant construction. Now that the standard has been tried and tested in many respects over the last few decades and the economic viability of a plant continues to be heavily influenced by the operation of its condensation system, it has been decided to maintain and update the standard. A fundamental revision was not necessary. The VGB Conference took place in Bonn on 28 February and 1 March 2018. The Conference was attended by 218 participants and 38 exhibitors. The following main topics were represented: current general requirements, quality assurance as well as techniques, experiences and damages. In addition, the conference was accompanied by two panel discussions: Industry 4.0 in maintenance – sense or nonsense? and Perspectives for maintenance personnel in the power industry. VGB decided to hold the usually bi-annual Conference "Maintenance in Power Plants" in the year 2019 to balance its event portfolio. The Call for Papers (Call to submit suggestions for lectures) will be distributed after the planning is completed. Interested parties are welcome to contact us already now.